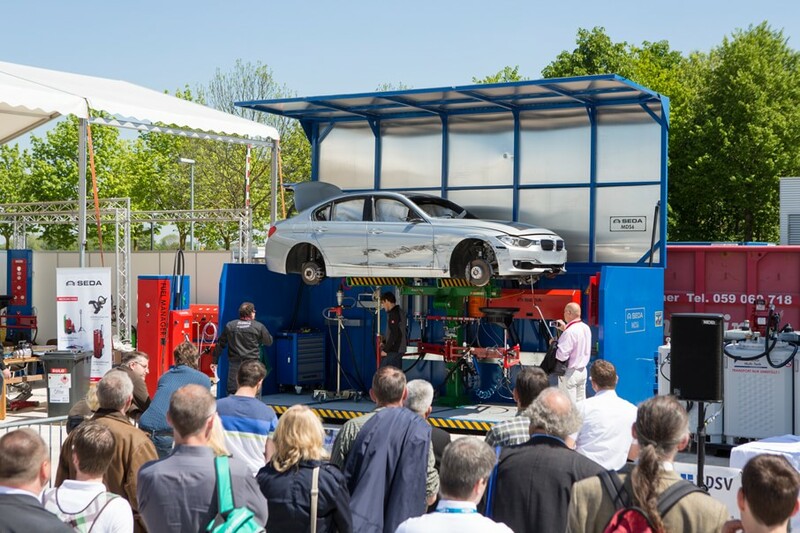 SEDA-Umwelttechnik GmbH is a ISO9001 certified company that is specialized in developing, manufacturing and selling End-of-Life Vehicle de-pollution technology, stations and specialized tools and equipment for the car recycling industry. As an international company SEDAÂ´s manufacturing and administrative headquarters are located in Tyrol, Austria. With 25 employees and an excellent distribution-network, SEDA-Umwelttechnik GmbH is a successful mid-size company. This website contains an overview of all our products including our radiator testing equipment. For more detailed information or to obtain a quote, Please go to the contact page or phone us direct. SEDA equipment and plant are innovative market-leading products which have for many years set technical and ecological standards. These are quality, made-in-Austria products which comply with applicable European directives for end-of-life vehicles. When you choose a SEDA product, you are choosing Safety, Quality and Efficiency. 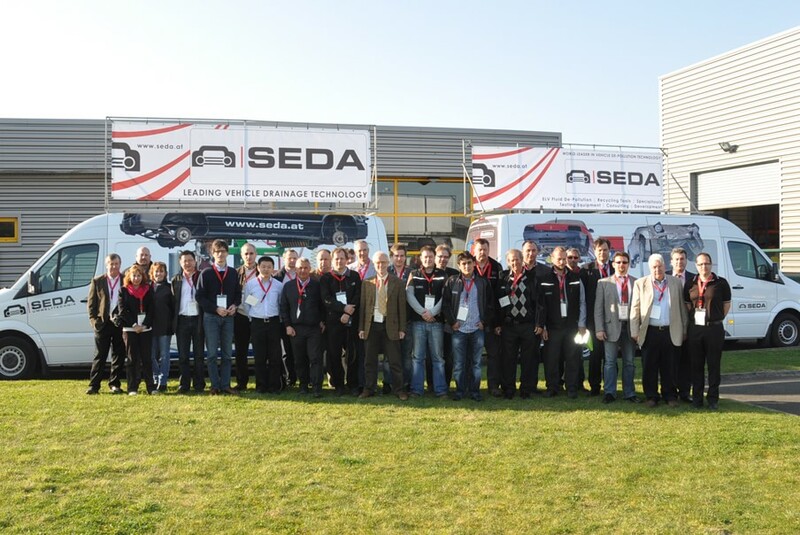 A worldwide network of trained importers and our own subsidiaries in the Netherlands, the USA, Turkey, Japan and AustriaÂ are the reason why SEDAâ€™s customer list includes companies such as BMW, Volkswagen, Mercedes, Ford or Porsche and groups such as ARN, Scholz and Sims. To protect the environment from hazardous liquids from end-of-life vehicles â€“ A vision which Josef Dagn has already achieved with his inventions. We want to apply this founding concept around the world. Doing this means that our core focus lies in connecting this philosophy with the needs of our customers. Our aim is to provide them with the most environmentally-friendly, safe and economical solutions. SEDA has been recognised in numerous articles in well-known industry publications and major awards. These include the prestigious Austrian Chambers of Commerce â€œExport Award 2006â€œ and a â€œDynamic Small Businessâ€ award from Austrian Leading Companies. SEDA devices and stations fulfil the most stringent safety criteria and are TÃœV, EC and GS labelled. The strict ATEX specifications can also be complied with if required. Sophisticated quality management ensures that demanding quality requirements are fulfilled by means of regular checks and tests. For SEDA, quality means passing on our knowledge, manufacturing good products and making our customers happy. We have been active for 40 years and have led the industry for 20 years. As a pioneer with a foundation in reality and expertise, we pass our know-how on to our customers. Modern design, high-quality components, certified processes. We offer usable technologies, developed by and for professional specialists. Research means evolving and developing. In this way, we gradually improve what is known, and discover what is new. We develop prototypes and technologies together with our customers and vendors. An international distribution network ensures optimal consultancy and rapid service from professionals based in your region. SEDA products are characterised by their excellent durability and an effective return on investment. For us, sustainability means also being there for the customer once the sale is completed. Do you want to see our equipment LIVE? Visit us and learn more about our technology. We would like to welcome you at our new SEDA Showroom in KÃ¶ssen/Austria to show you a LIVE demo. SEDA has rethought and revolutionised issues such as explosion protection, reliability, simple and safe handling. Integrating SEDA equipment in existing processes and expandable elements provide flexibility. The topic â€œdismantlingâ€ of end-of-life vehicles is more important than ever in the future. Too many recyclables are installed in automobiles that are not only valuable, but also can be used in the production of new cars. SEDA provides numerous dismantling tools. Our special tools make car recycling even more professional. Additionally developed specialised devices including a CableCutter, a refrigerant recycling machine or a CableShredder round out our comprehensive range for recycling facilities, workshops and rescue services. SEDA testing equipment such as our radiator or CoÂ² testers are in use around the world. 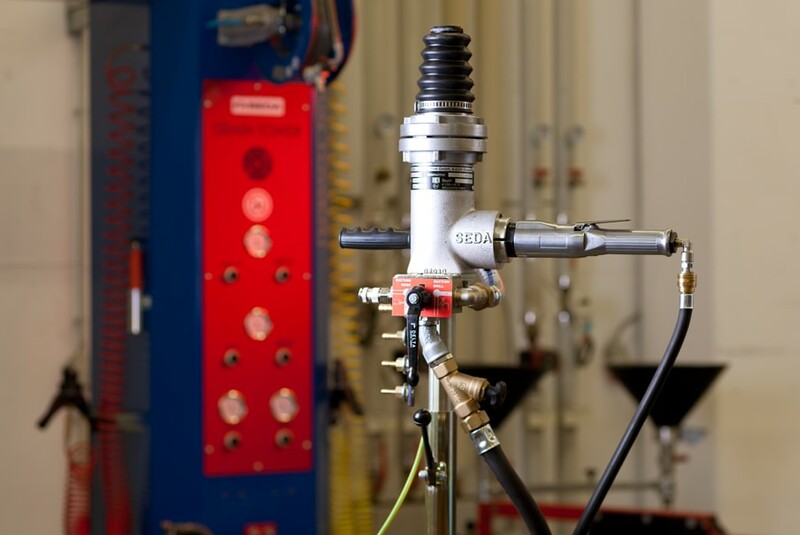 Multi-functional testing systems and proven pressure testers form an integral part of the SEDA product range, and have been relied on for many years now by companies including Daimler, MAN and WÃ¼rth. Josef Dagn returns from his apprenticeship at Mercedes Benz to his hometown in KÃ¶ssen, and opens a petrol station and car repair shop. Mr. Dagn establishes SEDA Environmental LLC in New York; the headquarters move to St. Petersburg, Florida two years later. Company founder Mr. Dagn develops the worldâ€™s first complete end-of-life vehicle drainage system and launches sales across Europe. Josef Dagn establishes SEDA Umwelttechnik in KÃ¶ssen. SEDA wins a major contract in the Netherlands and establishes SEDA Environmental Benelux. SEDA wins the Austrian Export Award and is listed as a Hidden Champion. SEDA Umwelttechnik is ISO9001 certified. Josef Dagnâ€™s son Rainer becomes the companyâ€˜s new CEO. SEDA Japan is established and a sales agent is hired in Shanghai. SEDA Environmental LLC expands its team and moves to larger premises in Fayetteville, Atlanta (USA). SEDA Innovations GmbH becomes a contract manufacturing specialist for blank production in Ebbs, Tirol. SEDA Turkey is established in order to open up the Eurasian market. SEDA has developed special recycling equipment for VIKING, which helps our development and test department to disposal of garden devices with combustion engines in an ecosensitive way. We are very pleased with the work of SEDA — especially the implementation, further development and launch of complete fluid evacuation systems for our partners which meet the stringent Dutch regulations.